In securing promotion at the first attempt, Bristol secured their Premiership status for the upcoming season with Pat Lam at the helm. Last Season: Having been relegated from the top flight in the 2016/17 season, Bristol returned to the top tier at the first attempt in winning the Championship title with ease. After clinching promotion in early April, Pat Lam was able to recruit a number of high-quality men to his squad. Recruitment Rating: Pat Lam has brought in numerous star players, but there is also a large number of players leaving. It appears that Bristol have tried to turn over too much of their squad, and though they have brought in great quality, their recruitment is slightly heavy. 6/10. Strengths: One thing is for certain: The Bears will not be lacking in experience, with John Afoa, George Smith and Charles Piutau among their new signings. 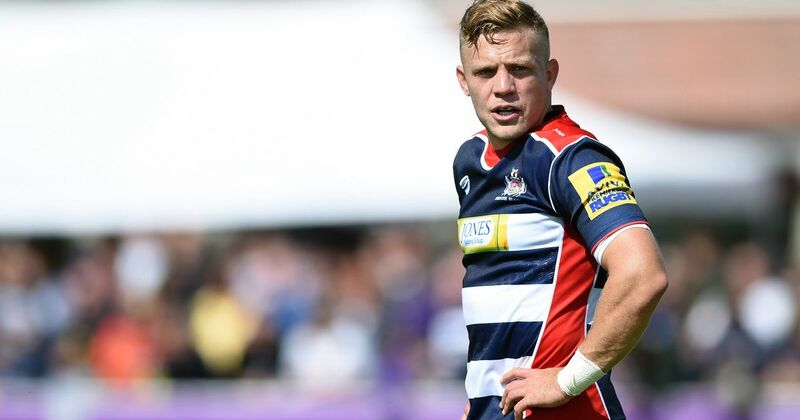 The attacking talent on show in the back-line means that Bristol will always pose a threat going forward. Weaknesses: In bringing in 23 players, there is the distinct possibility that Bristol may start slowly, as their squad will take time to gel. A few of the acquisitions are coming to the end of their career, and though this brings experience, one must wonder whether Lam has combined youth and experience successfully enough. A lack of depth in the half-back positions is also a cause for concern. Key man: With two inexperienced replacements behind him, Ian Madigan can expect to play the majority of Bristol’s games this season. For the Bears to prosper, he’ll need to control the game (potentially with a forward pack that is being dominated), while offering the same attacking threat he did last season. Young gun to watch: Having signed from Gloucester before Bristol’s successful Championship campaign, Mat Protheroe made only 11 appearances last season. But with a lack of depth in the outside backs ranks, the youngster can expect to deputise in the absence of Charles Piutau or Luke Morahan. Prediction: Though Bristol have perhaps overdone it with new signings, there is still a plethora of experience and talent throughout their squad, and if Pat Lam can motivate his team as well as he did with Connacht, there is no reason why the Bears can’t stay up. It will be tight, but Bristol will finish 11th. Ins: Charles Piutau (Ulster), John Afoa, Harry Randall (both Gloucester), Shaun Malton, Ed Holmes (both Exeter Chiefs), Nic Stirzaker (Melbourne Rebels), Yann Thomas (Rouen), Aly Muldowney (Grenoble), Tiff Eden (Nottingham), Harry Thacker (Leicester Tigers), Jake Heenan (Connacht), Jordan Lay (Edinburgh), Tom Lindsay (Bedford Blues), Jake Armstrong, Jake Woolmore, Tom Pincus (all Jersey Reds), Lewis Thiede, Piers O’Conor, Luke Daniels (all Ealing Trailfinders), James Lay (Bay of Plenty), George Smith (Queensland Reds), Ollie Dawe (promoted from academy). Outs: Jordan Williams, Rhodri Williams, Ryan Bevington (all Dragons), Olly Robinson (Cardiff Blues), Max Crumpton (Harlequins), David Lemi (Chanlon), Jack O’Connell (Ealing Trailfinders), Tyler Gendall (Cornish Pirates), James Newey (Jersey Reds), Billy Searle (Wasps), Soane Tonga’uiha (Ampthill), Giorgi Nemsadze (Ospreys), Gaston Cortes, Ross McMillan (both Leicester Tigers), Jack Wallace (Richmond), Dan Tuohy (Vannes), Jordan Liney (Hartpury College), Alex Giltrow (Clifton), Jason Harris-Wright, Thretton Palamo, Ryan Glynn, Ben Gompels (all released).